Wines from €8.50 to €22: Can you tell the difference? Do expensive wines taste any better? It is a question I am often asked. My answer is: yes and no. Obviously, a pricier wine should offer more; more complexity, more elegance, more fruit and more intensity than a cheaper model. But quite often it doesn’t. A wine producer is no different to any other business and will try to maximise profits. Simply by being based in a well-known region, some can charge a premium over their neighbours. Others dress their wines up in heavy bottles and fancy labels in an effort to persuade us to part with a little more money. Then there is the importer and retailer margin; some take more than others. So price is certainly not a guarantee of quality. Against this, if a producer receives a better price, they can afford to make a much better wine. I find that generally, if you pay more, you get more – to a certain price ceiling, when the law of diminishing returns set in. Given our very high excise duties, most of the cost of any wine under €10 goes straight to the government, so cheap wine is never really good value. For me, the sweet spot in wine is between €12-25, where you should notice a big step up in quality. If you don’t then you should stick to the cheap stuff. For a treat, I am happy to pay up to €50 and sometimes more for a really great wine, having convinced myself that the same price would get me an average bottle in most restaurants. Not everybody likes expensive wine however; studies have shown that many consumers prefer cheaper wines that tend to have more residual sugar, adding richness and texture, as well as lighter tannins or acidity (in white wines). I sometimes find myself preferring the less expensive wines because they have not been given lavish oak treatment, and I don’t generally like the taste of oak. It is all a matter of personal taste, and as with anything else in life, you should never let anyone else tell you what you should or shouldn’t like. This week, you can conduct your own experiment. I have chosen four Malbecs from Argentina, all widely available. The complete set will cost you about €55, but you could share the burden with a few friends and do a tasting together – blind if you feel like really testing yourself. For me, the Barrel Select was the winner, clearly superior to the two less expensive wines and great value for money at €12.95. For a posh dinner with beef or lamb, I would certainly be happy to pay an extra €10 for the Clos de la Siete, made (and part owned) by renowned French wine consultant Michel Rolland. Aldi Exquisite Collection Malbec, Uco Valley Argentina 2015, 13.5%, €8.49. Decent, well-made wine with slightly astringent dark fruits. Stockists: Aldi. Norton Colección Malbec 2016, Mendoza, Argentina, 13%, €11.95. Easy ripe red fruits, with a rounded finish. Stockists: O’Briens. Norton Barrel Select Malbec 2015, Mendoza, Argentina, 13%, €14.95 (€12.95 for May). A perennial favourite with medium-bodied warm savoury dark fruits and a soft harmonious finish. Stockists: O’Briens. Clos de los Siete 2013, Uco Valley, Argentina, 14.5%, €21.95. Full-bodied and smooth with elegant sultry dark fruits, plenty of spice and a dry finish. Stockists: O’Briens. 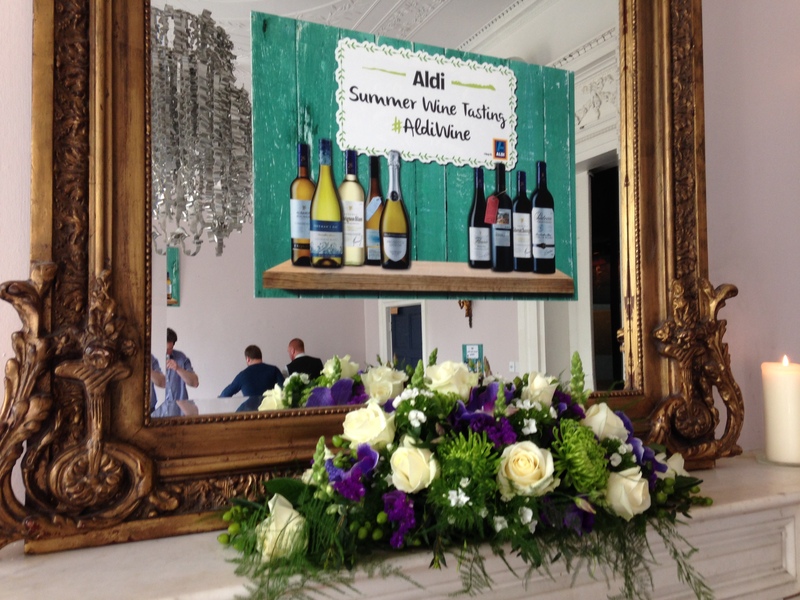 Aldi held their summer wine tasting recently in the Cliff House – a lovely venue for a tasting. 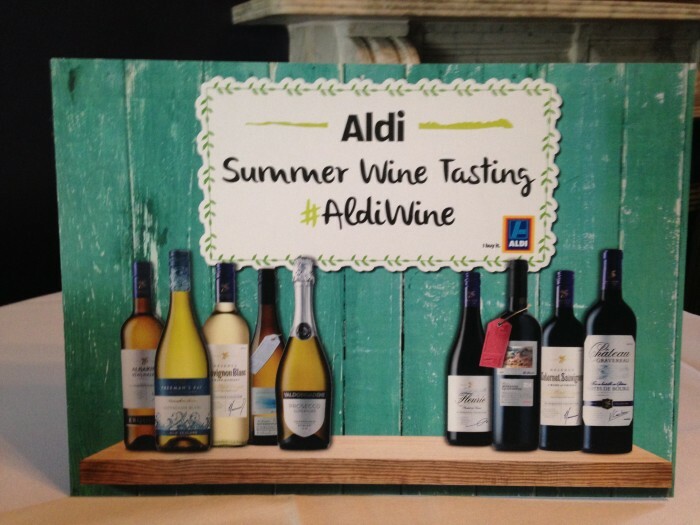 As usual at the Aldi event, some decent wines and jaw-dropping prices. As argued here before, these days wine producers can make large quantities of inoffensive, largely off-dry white and red wines at incredibly cheap prices. But don’t expect too much in the way of excitement. There were some nice wines here, but they were usually up at the €13 a bottle level – and at that price, the other supermarkets and some independents can compete quite successfully. 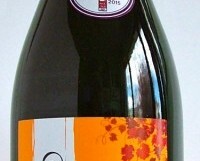 This has featured many times before; it is still one of the best-value bottles of fizz in Ireland. Crisp green apple fruits, very gluggable and streets ahead of most Prosecco in my book. Slightly unusual nose (possibly the Mauzac) with some elderflowers; a very pleasant light fruity bottle of fizz. Made by Jean Claude Mas, as were a number of French wines at the tasting. Good ripe, off-dry pear fruits, with plenty of zesty acidity and some length too. Well-made wine. 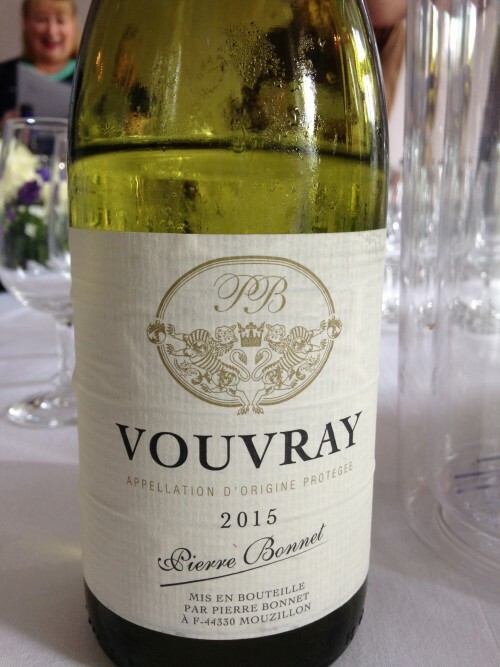 A very nice medium-dry wine with lots of acidity, genuine Chenin Blanc fruits – pears and quince, with a touch of honey. Classic Clare Valley Riesling with crisp green apples and plenty of citrus acidity. Well-made wine. Amazing price. Light sweet jammy fruit. An option for those on a very tight budget. The cheapest wine at the tasting I think, but not the worst. Light easy juicy fruits with a sweetish finish. I have written about this wine before, from Ch. de Fesles, one of the posher Chateaux of the Loire. Very crisp and dry, in fact razor sharp, with lightly honeyed green fruits and a bone dry finish. Good wine. Fragrant, elegant wine with warm plum fruits and some spice. Well-made fairly-priced wine. Good rich savoury fruits, with light tannins. Nice wine with plenty of stuffing; with red meats. I had my first barbecue of the year a month ago; a whole chicken stuffed with garlic and lemon. It was simple but delicious, the skin crisp and burnished. You can cook on the barbecue throughout the year (I know people who use it for the Christmas turkey) but once the sun comes out it becomes a much more attractive method of cooking. The Irish barbie is no longer a few sausages and burgers incinerated on a grill. Not only do we cook everything from fish to vegetables, many now have proper smokers or at least woodchips to add smoky flavours to a charcoal-powered covered cooker. I divide my barbecue wines into three categories. There is no getting away from the idea of matching a big, powerful red with barbecued red meat. Smoked or heavily marinated and spicy meat probably demands the biggest wines of all. For inspiration, look to sunny countries and how they match their wine and food. 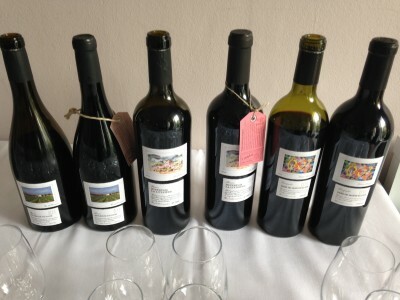 Shiraz from Australia, malbec from Argentina and zinfandel from California are all classic partners. With fish and chicken a rich white wine or a rosé is called for. I probably do not pay rosés enough attention in this column. I could blame the weather but I have to admit I am not a big fan generally. There are some very pricey pinks from Provence and elsewhere, but I am not convinced they are worth the money. However, rosés can be great with grilled or barbecued shellfish, fish and chicken, especially if those with an Asian or Middle-Eastern marinade or rub. They also go very well with all sorts of salads, so they are a good catch-all summer wine. If you want to stick with white wine, a chardonnay (lightly oaked wines and smoke) or a rich viognier are probably the best options. You could serve a light, chilled red wine, such as a pinot noir, with grilled salmon or tuna. My final barbecue wine does not go with any of the food; it is the aperitif! Charcoal always takes far longer to get ready than you think, and some foods, chicken in particular, must be thoroughly cooked (my best friend is a digital thermometer), so make sure you have something to drink while waiting for the food to be ready. Avoid big, alcoholic wines, or you and your guests will be sprawling long before the food is ready. 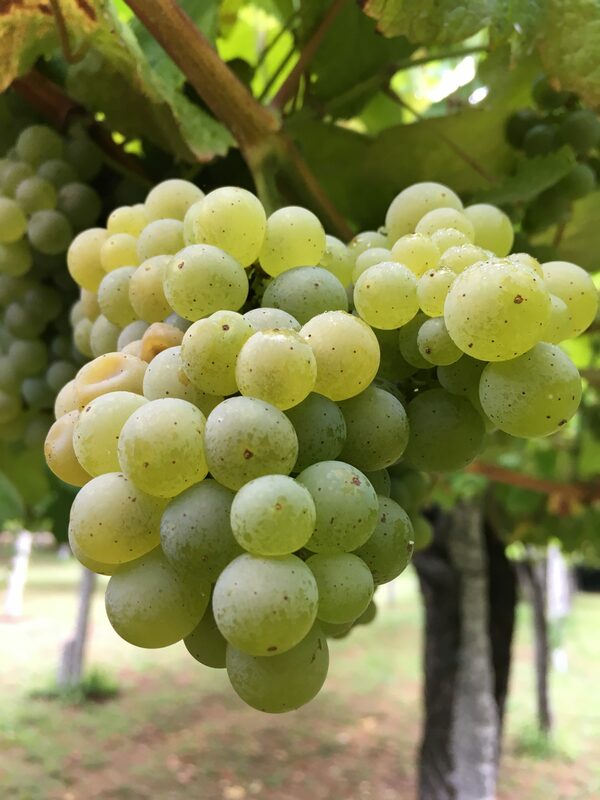 A light, well-chilled refreshing white wine is ideal; a Mosel riesling Kabinett, if you are having nibbles, or you could think about a lightly chilled beaujolais or Loire cabernet, or again a rosé, as they tend to be light in alcohol. This week’s wines are not expensive. I save my best wines for other occasions. A delicious fruit bomb of a wine; supple, juicy, ripe and very gluggable. Light summery strawberry fruits with a dry finish. With fish and white meats. Perfect summer sipping wine; light, crisp, and sprizty. Stockists: Wilde & Green, Milltown; John Doyle, Gorey; Mitchell & Son, chq, Sandycove & Avoca Kilmacanogue. Haven’t got around to buying your Christmas wine yet? Below is a roundup of what is available, including some inexpensive wines that will keep the hordes happy. Also, a few more expensive wines for the man or woman who has everything.From O’Briens, the 1757 (€49.99), a Bordeaux blended by O’Briens wine buyer Lynne Coyle, is an excellent young, structured wine. Ideally, the recipient would decant it an hour before serving, or stash it away for a few years.At a more affordable level, I was very impressed by the latest vintage of Jaspi Negre, great value at €14.99. I have also written before about the excellent Begude Chardonnay Terroir 11300 (€17.99) – perfect for Christmas starters and turkey too.Moving down in price, an old favourite, the Rioja-ish Protocolo is back down at €9.99, where it competes with the delicious rounded Porta 6 at the same price. The sweetly fruity Côtes du Rhóne (€5.99 from Lidl) won’t set the world on fire, but it might keep a crowd content.I have written before about their very drinkable, soft, fruity Cepa Lebrel Rioja (€6.99) and the oakier Reserva from the same house at €8.99. Lidl also has two keenly-priced Bordeaux. I enjoyed the leafy elegant Fiefs de Lagrange St Julien for €24.99 and the meaty, robust Prieur de Meyney St Estèphe (€19.99).Aldi have two nice sparkling wines, the Cremant de Jura for €10.79 and an impressive Champagne, the Monsigny Blanc de Blancs 2010 for €26.99. I was also taken with their Lot 07 Bush Vine Chenin Blanc (€13.99) and the Lot 10 Coonawarra Cabernet Sauvignon (€13.99). 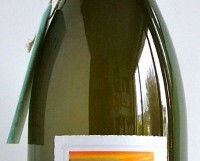 If you need fizz, Tesco have their Finest Prosecco, made by Bisol, one of the top producers, for €15. From South Africa, they have a pair of very decent wines made by the Adi Badenhorst for €12. Both the Chenin Blanc and the Shiraz would do nicely for Christmas.I preferred Tesco’s Finest Rioja Crianza (€12) to the two more expensive Rioja Reservas. If you are having a large crowd, Tesco’s Finest Old Vine Garnacha (€9) is pleasant, juicy and warming. For a statement gift, Tesco’s Finest Barolo at €20 represents very good value. To start your meal off, Dunnes Stores offer the Villa Maria Sauvignon Blanc for €11 or the attractive Paco & Lola Albariño for €13. If you prefer lighter red wines, the Puy de Dome Le Pinot Noir (€13) offers light, juicy fruits at a bargain price, or the Domaine de Sainte-Marthe Syrah is a little richer, but equally good value at €10.50.I would consider the Cune Reserva 2011 (see below), or the excellent, structured, and well-priced Muga reserva for €19.50. 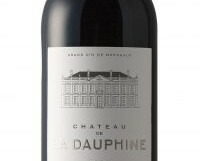 If possible, decant the latter an hour before serving with turkey.If you need to buy a statement present, the Château Haut-Batailley 2005 (Dunnes, €55) is an excellent claret. Moving on to SuperValu, you could start the Christmas dinner with either the easy-drinking and rounded Alchimie Coteaux du Giennois (€10) or for something a little unusual a Pinot Gris from Oregon; the Kings Ridge Pinot Gris (€15) has lovely melon and peach fruits with hints of honey.For an inexpensive Bordeaux, I would go for the light, rounded Château Camp de la Hire (€12), or if you want to splurge, the very tasty Charles Mignon Grand Cru Champagne for €45. 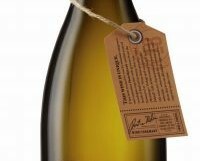 Marks & Spencer offers the delicious maturing Graham Beck Blanc de Blancs 2010 sparkling (€18.99). For something a little offbeat the Croatian Golden Valley Grasevina (€14.79) is excellent, and for a red wine, the fresh juicy Dolcetto d’Asti (€10.99) with its dark fruits is delicious.I am sure there will be last-minute bargains from all the major stores, but sadly they keep this a secret from wine writers until the last minute. Sumptuous dark fruits with a fine minerality. An affordable present for the wine geek in your life. Delicious elegant Rioja with ripe dark cherry fruits, a smidgen of oak and a lovely finish. Christmas dinner sorted. 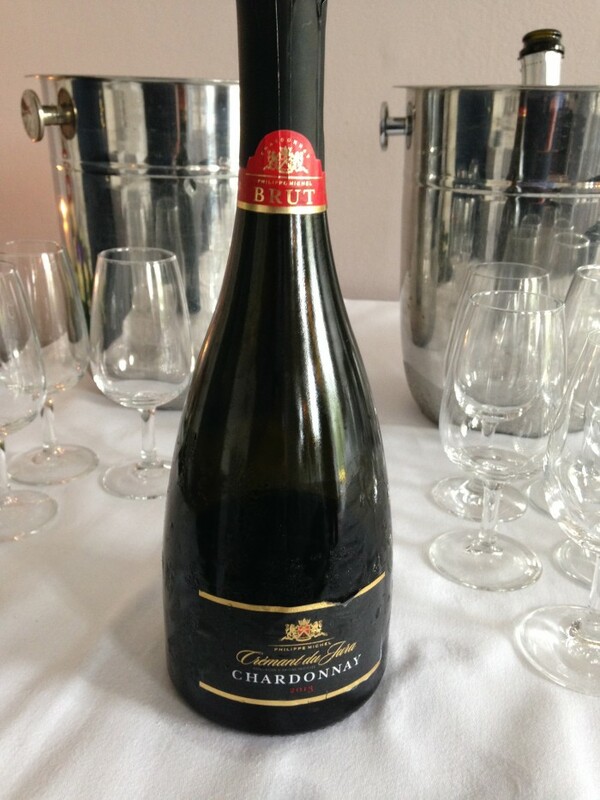 An excellent Champagne with lightly floral aromas and creamy apple and brioche, finishing dry.